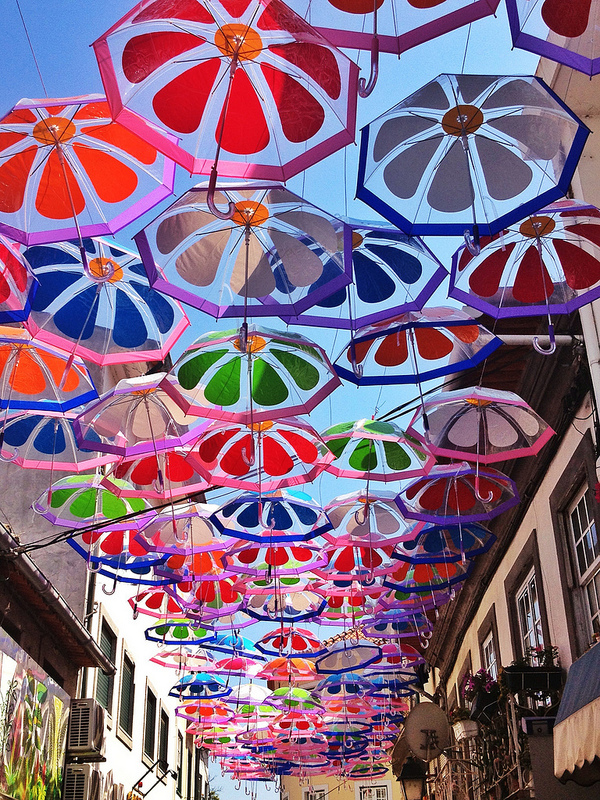 During the month of July of every year, the people of Agueda, a municipality in Portugal, hang colorful umbrellas over the streets. This is a part of their Agitagueda festival which is held this time of year. 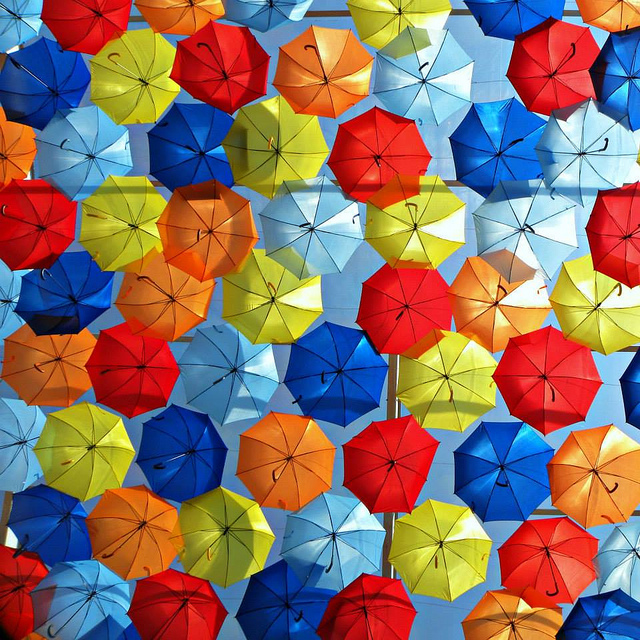 If you stop by the streets of Agueda this time, you will notice umbrellas of different colors —– red, blue, yellow, making a nice shade over the pedestrians. A beautiful sight indeed. Sometimes, I think if we could decorate the streets of Kolkata in the same way. How would it have been if the roads in front of the book shops in College Street had some colors hanging over them? Well , obviously it would be a delightful sight but only when it is well maintained. Otherwise, it will make a nuisance —- dirty umbrellas hanging here and there instead of where they should be and creating disturbance for common people. 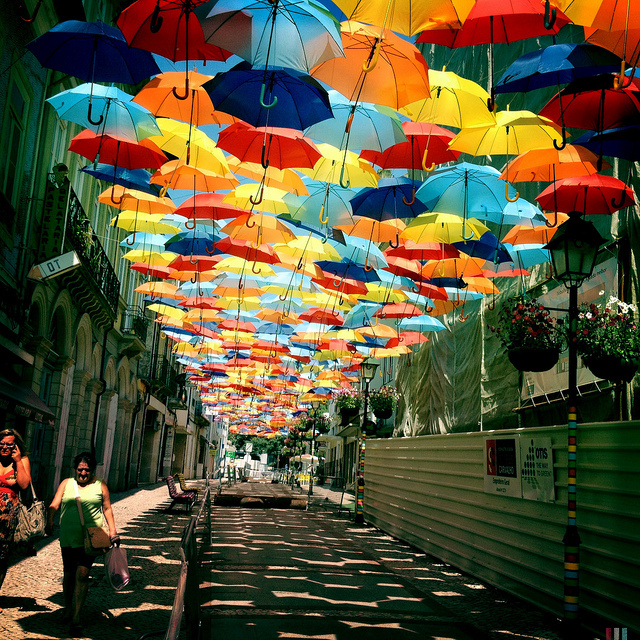 Let the umbrellas hang over the streets of Agueda. 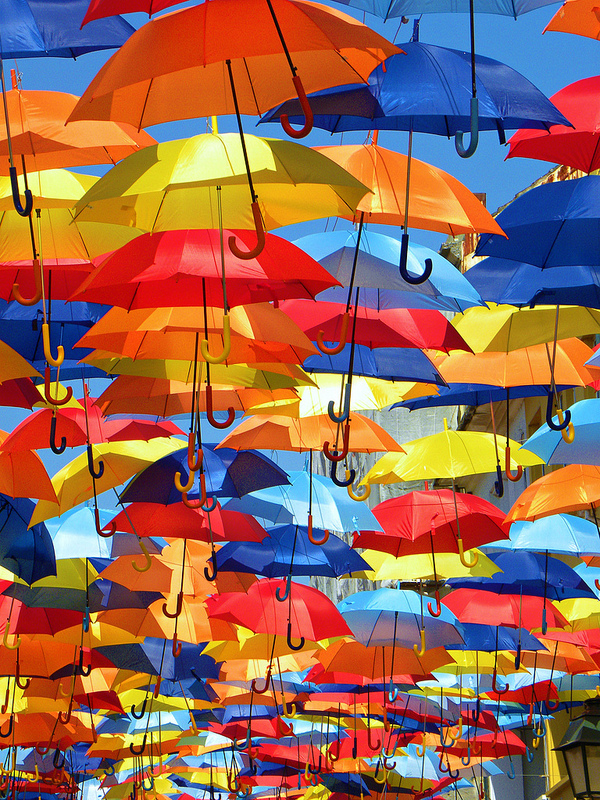 We rather use our personal ones during monsoon over our head. Previous কাল্টুদার কলিংবেল Next এসপ্ল্যানেড! এসপ্ল্যানেড! স্প্ল্যানেড নয়!